We love Rottnest Island just as much as the next person, but we’ve thought of it as being a place to visit when the temps are high. That was until we discovered the plethora of winter-friendly activities you can get on board with. So, we’ve partnered up with our mates at Rottnest Island Authority to bring you a bucket list of everything you need to do on this tiny little isle just 19 kilometres off the shores of Fremantle. And the good news is, this little pocket of the planet experiences plenty of sunny days, even in winter! Here’s your Rottnest Island winter bucket list. You’re welcome! With any trip to Rottnest, a quokka selfie is mandatory, but there is plenty of other wildlife to see that don’t require going under the sea. Take the new one-kilometre-long Ngank Wen Bidi trail and if you have a keen eye you might be able to spot some New Zealand fur seals or dolphins from the Cathedral Rocks lookout. If you don’t mind a bit of bird watching, head to Fish Hook Bay and look out for the eagle-like ospreys. Daily visits to the Rotto Bakery are a must to try out some of their glorious sourdough (and jam doughnuts). Hotel Rottnest Bar + Bistro has you covered for pub grub and ice cold bevvies (among the quokkas, no less) and you can’t go past a scoop at Simmo’s. And if you're still hungry, check out The Lane Cafe, Aristos Waterfront and Riva Restaurant. The Wadjemup Bidi spans 45 kilometres and is broken up into five walking trails, with each offering stunning views. Take the Gabbi Karniny Bidi trail (9.7km loop) out to the Instagram-worthy salt lakes and enjoy a stroll over the Lakes Boardwalk which gives the illusion of walking on water, or head out along the northern beaches on the Karlinyah Bidi trail (5.9km loop). Pack a blanket and a picnic basket and head to Rottnest Island Movies to catch one of the latest flicks to hit the silver screen. Be sure to pack some spare change for popcorn, homemade choc bombs and lollies. And, if you arrive early, you could always have a few rounds of mini golf. Funsies! Hit up Skydive Geronimo and work up the courage to jump out of a plane 15,000 feet above Rotto and plunge to your…safe landing on the beach, before celebrating your courageousness with a drink. If being a daredevil isn’t your thing, you could take a scenic joy flight with Rottnest Air Taxi, or better yet, fly direct from Perth for $99 return. Click here to find out more. If planes aren't your thing, you could fly over for a day trip on a helicopter with Rotorvation. So. Many. Options. Ease your winter aches and pains with some much-needed pampering at Karma Spa. Offering everything from hot rock massages to pedicures, enriching facials and treatments for men, don’t miss the martini and manicure package (which entails exactly what you imagine). We’ll take one of each, please! If you’re not savvy to the fascinating (and creepy) history of the lighthouses on Rottnest Island, definitely book in a tour. 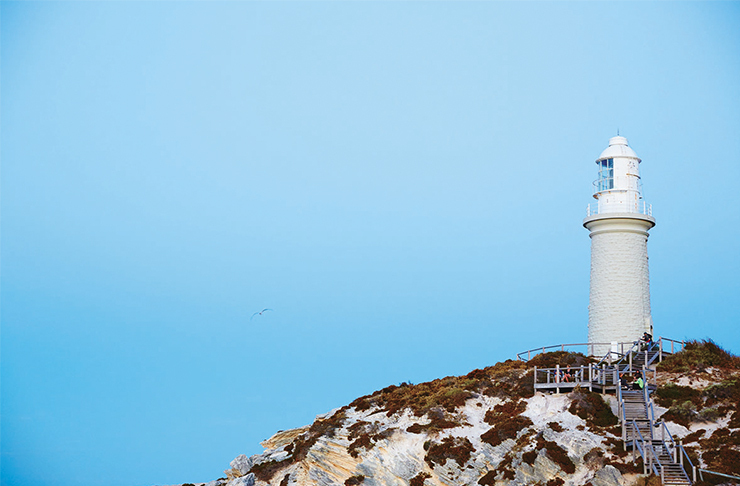 The Wadjemup Lighthouse is the only one open to the public and tours run every half hour from 10am to 2:30pm. You might even spot a ghost while you’re there. Yes, you're going to have to be prepared to look like a massive dork, but Segway tours are fun, and a really quick way to see the island with minimal effort. There are a bunch of tours to choose from, click here to find out more. They don’t do cocktails (yet…hint, hint) but Hotel Rottnest is the spot to look gleefully back at Perth with a glass of bubbles in hand and think “what kind of paradise is this?!”. Once the sky is painted lilac, the delish crispy based pizzas will satiate the ferocious hunger that seems to accompany time in the fresh ocean air. Rottnest Island is offering some very affordable midweek and weekend packages for you and your mates to take advantage of this winter. Enjoy a three-night weekender for four people for $372 (that’s only $31 per person, per night). Or you can take the week off and enjoy a three-night getaway for four for $330 or a five-night getaway for four for $480. All winter bookings will receive special offers on experiences and ferry discounts, with six person packages and upgrades also available upon request. To book call 9432 9111 or click here. Terms and conditions are available here, deals are not available during the July school holidays (1—16 July). 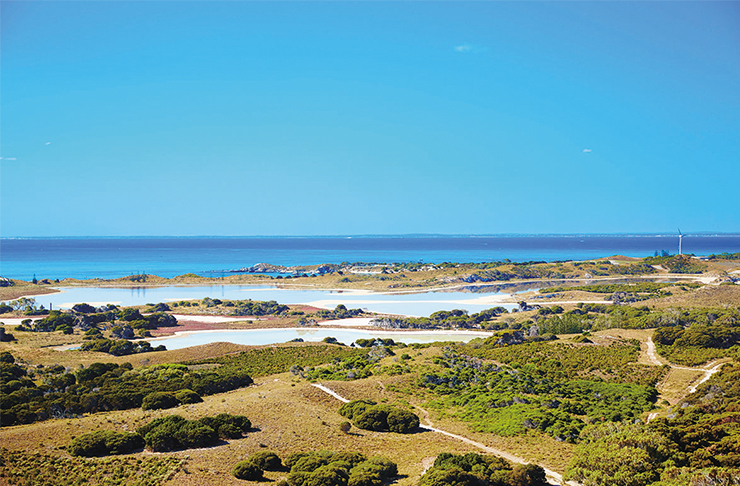 Editor’s note: This article is proudly sponsored by Rottnest Island Authority and endorsed by The Urban List. Thank you for supporting the sponsors who make The Urban List possible. Click here for more information on our editorial policy.